6/1/2005 – He was a classical child prodigy, qualifying for the British men's final at eleven and winning it at fourteen. 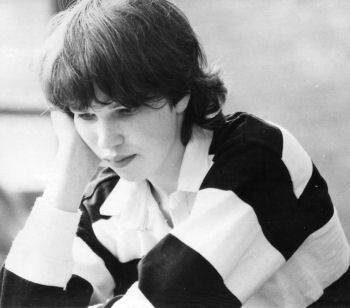 He matured into a very strong grandmaster, eliminating Karpov and Timman in the 1992/93 Candidates to challenge Garry Kasparov for the world championship in 1993. Today Nigel celebrates his 40th birthday. Here are some pictures and stories. 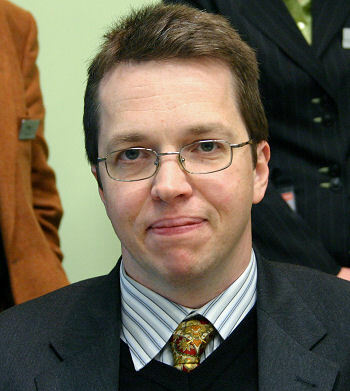 Nigel Short was born on June 1st, 1965 in Leigh, Lancashire. He was a classical chess prodigy, qualifying for the British Men's Championship three days before his twelfth birthday – the youngest player by four years to do so. He chess career was sparkling: he won the British Chess Championship in 1984, 1987 and 1998 and the English Championship in 1991. 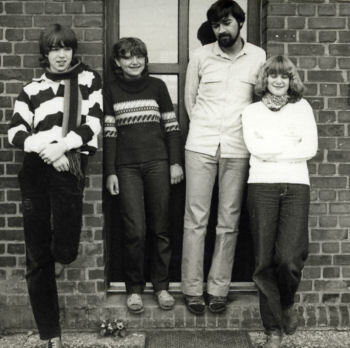 He played in four World Junior championships (1980-1983), and came second after Garry Kasparov in Dortmund in 1980. 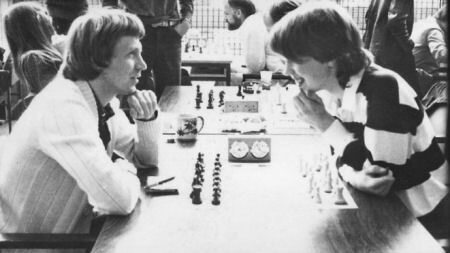 Nigel became a Grandmaster in 1984. A very notable result was his joint first (with Salov but ahead of Kasparov and Karpov) at the Amsterdam VSB tournament in 1991. In 1993 he played Garry Kasparov for the World Chess Championship, after having beating Anatoly Karpov and Jan Timman in the qualifiers. His loss by 7.5-12.5 to Kasparov does little justice to the imaginative and tough struggle he forced upon the strongest player of all time. In April 2004 Nigel, at 38, reached the highest rating of his career: 2712. He is still active and currently number 28 in the world, with a rating of 2673. Recent successes include victory at the Hunguest Hotels Super Chess Tournament in Budapest in 2003 (ahead of two top ten players, Judit Polgar and Péter Lékó); and wins at the 2004 Commonwealth Chess Championship and the Gibraltar Chess Congress as well as a tournament in Taiyuan, China. In recognition of his chess accomplishments, Nigel was appointed MBE in 1999. He is married to Rhea Argyro Karageorgiou, a drama-therapist, and has two children: Kyveli Aliki (13) and Nicholas Darwin (6). In 1991 Nigel played what Chess Today calls "one of the most amazing manoeuvres in the history of chess." The following excerpt is taken from the Faber Paperback "Nigel Short: Chess Prodigy", written by his father David Short (London, 1981). It is an entertaining, readable book which is still available in the used books section of Amazon. Nigel's first exposure to chess may not have been as dramatic as that of the infant Capablanca, but his family still remembers it vividly. Capablanca was never shown the moves or even the positions of the pieces, but at four he beat his father the first time he played him, just two days after watching him play a rather amateurish game with a friend. I suppose I was a better player than Capablanca senior – at least it took Nigel a couple of weeks before he started denting my ego. 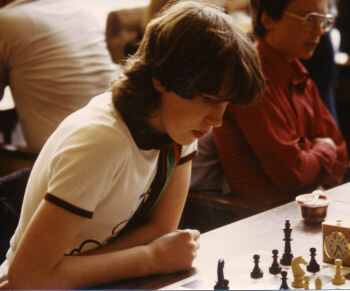 I had always enjoyed chess, but had never played competitively. We think Nigel was six when he sat intently on the arm of a chair and watched me explain the moves to his elder brother, Martin, two years his senior. Martin was highly intelligent and picked up the basics of the game easily enough. After half an hour or so I was ready to pack the game away, but Nigel pleaded to play. 'You're too young,' I told him. 'I'll teach you when you're a bit older.' Mother's intervention prevailed and a rather bored father had to reset the pieces. The boredom vanished almost immediately. Hardly anything needed to be repeated. Nigel had picked up an amazing amount. His fascination with the game started there and then, and for the next few years the chess board was hardly ever out of sight. At first I let Nigel win the odd game to encourage him, but it was not long before I was having to fight grimly to preserve parental honour. I suppose we shouldn't really have been surprised. He was reeling off nursery rhymes at an age when most babies were struggling with two syllables. When he was three, his mother, Jean, took an afternoon nap while expecting our third son, Jonathan. She gave Nigel six jigsaw puzzles to keep him quiet. When she woke up an hour later Nigel was just finishing the last one. He assured her that he had done each jigsaw, not once, but six times. We timed him on the same puzzles later in the day. He hadn't been exaggerating. In other ways his intelligence was less obvious. His road sense was so appalling that I was convinced he would never survive. But his perception on the chess board was amazing, and it was not long before I was losing regularly. Nigel accepted his defeats with better grace than his father. By this time Nigel had an insatiable appetite for the game. He badgered everyone he knew who could play chess, and if they couldn't he insisted on trying to teach them. Grandparents, uncles, aunts, they all had to play. If any stimulus was needed it came with Bobby Fischer's tantrums and the world championship match with Boris Spassky at Reykjavik. The match put chess on the front pages of the British press, and Nigel, now seven and a good reader, devoured the clippings and the game scores eagerly each day. The family was on holiday in Sandown, in the Isle of Wight, during the championship. We travelled home by car and Nigel spent the entire nine-hour journey playing through games and trying out moves on his pocket chess set. When Jean went to the library and borrowed a book by Alekhine, Nigel settled down on the settee at 9.30 one Saturday morning to read it. He had his lunch and tea while he read, and finally put the book down at 8.30 p.m. complaining of a headache. By this time the family had moved back to the Leigh district, and settled in the neighbouring town of Atherton. Nigel was desperate to find more opponents, and it was Jean who finally decided to do something about it. Neither of us knew anything about chess organization or the existence of any chess clubs, but Jean determined to find out. Telephone calls to local libraries produced the information that there was a chess club in neighbouring Bolton. Jean rang the wife of the club secretary. She gave details of the club, but when she heard that Nigel was only seven, she said, hardly surprisingly, but disconcertingly at the time, that Nigel should be in bed at the time the club commenced. So the search continued and finally Nigel's headmaster at St Philip's Junior School, Mr Joe Rowland, for whom no request was ever too much trouble, made his own inquiries and came up with the news that Richard Furness, the well-known congress director and President of the Manchester Chess Association, was a teacher at another local school. Richard, who was a member of Golborne Chess Club, said it would be all right for Jean to take Nigel along. Nigel was so excited he counted the days to the next chess club night as if it was Christmas Day approaching. Richard watched him play, said he had outstanding promise for his age, and the story really began. By now I was taking Nigel to the chess club and enjoying the game myself. We became so wrapped up in our chess talk that one night when we left the club I drove straight out of a junction into a very surprised and offended passing motorist. Nigel had always tended to be overshadowed by his elder brother. Whereas Martin demanded and got, as most first children do, a great deal of attention, Nigel was always happy and contented playing quietly on his own with his countless armies of toy soldiers. As a little boy we even thought he might present a bit of an educational problem for us. Then we discovered that he had taught himself to do sums and to read. Nigel would pick up a chess book whenever he had a spare moment, and if we allowed it, he would read during meals. A chess book was the last thing he put down at night and the first thing he picked up in the morning. His preoccupation with the game didn't cause us concern, for away from the board and his books he seemed to be happy, popular, and well balanced. I got to know Nigel almost exactly 25 years ago. A chess festival was being staged in Hamburg, Germany, and the organisers asked me to find some kind of an angle to make it more interesting for the public. 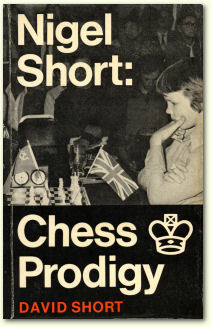 I suggested inviting a world championship candidate (Andras Adorjan) and a child prodigy whom I had read about: Nigel Short, who was 14 at the time. Due to budget constraints we had to convince his parents to send him alone, and I arranged a Lufthansa chaperone to look after him during the journey. At Hamburg airport she handed a gangly six-footer over to me, with a wry smile. Nigel stayed at my house during the tournament, and then came very frequently in the years that followed, often staying for weeks at a time. There are countless stories to tell, and some day they will be told. But for his 40th birthday I will restrict myself to embarrassing Nigel with pictures and a few short narratives from that first visit. Nigel sported long hair and looked disconcertingly effeminate. He knew this and it didn't bother him in the least. In fact he would sometimes go to the round wearing a silk blouse he borrowed from my wife. It was priceless to see middle-aged GMs from Eastern Europe wondering whether they should be trying to look down his shirt or not. To Nigel's delight the daughters of my University professor, Gaby and Ulrike, came to stay as well. The three got on fabulously. While he did not succeed in getting the girls to play chess, they did teach him how to play the piano. For Nigel it was breath-takingly difficult to coordinate both hands – unfortunately, he said, he had been born with just one brain and so was severely handicapped as a piano player. 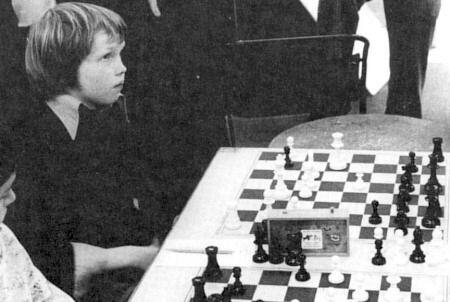 At the time of his visit the first chess playing computers had arrived on the scene, and since I was making a TV documentary on Artificial Intelligence I had access to a number of commercial chess machines. 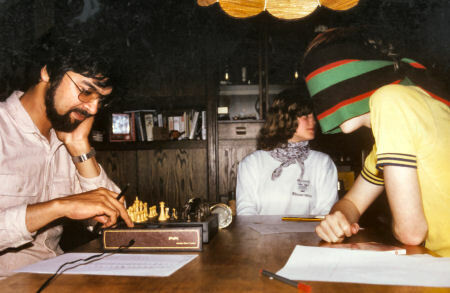 They were far too easy, of course, for the youthful chess genius – the only reasonable games were when he played blindfold against them. Often Nigel would get bored with the time the computer would take computing its moves, and would wander away to play with the girls while continuing to dictate moves. Here's a typical game.